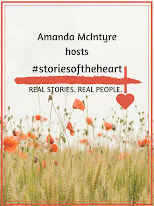 Amanda McIntyre: Monday, March 11- Linda McMaken & Verna Clay! Welcome y'all to a week that celebrates those rascally, and devilishly-delish "country boys!" It is going to be a fabulous week with some truly outstanding authors stopping in ,so be sure to check in everyday, right through March 17! All winners will be chosen daily (and at random) through comments or questions left on that day! I encourage you to check out their books for some spectacular reading pleasure!! JOINING US FIRST ON THE FRONT PORCH IS LINDA MCMAKEN! 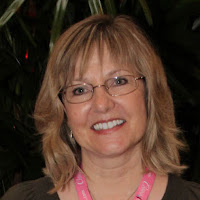 LINDA MCMAKEN is the Senior News Editor for Reader's Entertainment News, scriptwriter for COS Productions (book trailers) and writes for many other print and online publications. 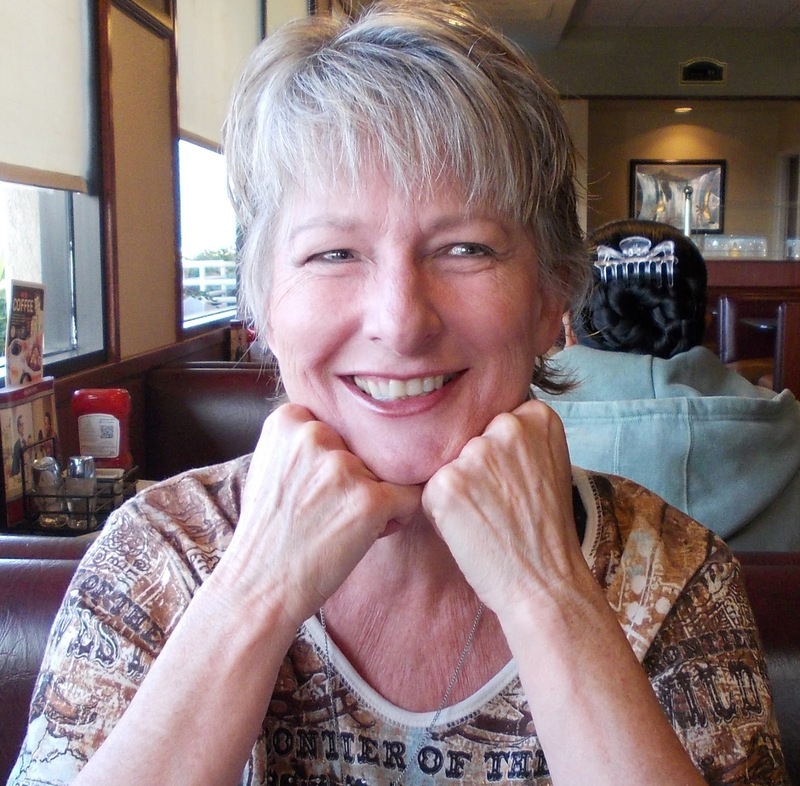 She is also the author of a humorous romantic comedy trilogy, The Three Baers, set in Wyoming. Her first book Baer Truth, where a vegetarian punk rocker finds herself stranded in the middle of Wyoming beef country was released last year to 5-star reviews. The second book in the series, Baer Necessities released September 2012, also to five-star reviews. Baer Facts will be released May of 2013. She is also the author of The Granite Rose, an historical set in ancient Rome. Ideas for books come from the strangest places. Joe Baer and the Baer Brothers sort of sneaked up on me one summer day. My family and I were taking a trip to the western U.S. with tickets in hand for the Cheyenne Frontier Days in Cheyenne Wyoming. We'd never been that far west before, so for us Easterners it was quite the adventure with long stretches of prairie, mighty rivers, and vast cattle ranches. My thoughts however, went to the ranchers and the families that lived there. I wondered who they were, and what their story was. Then I made the mistake of letting my muse actually speak aloud (a rare thing, as her thoughts are well, weird) "I wonder what would happen if one of these cattle ranching cowboys fell in love with a vegetarian?" After an hour of horrendous "where's the beef" jokes, my Baer brothers saga began to take shape. All it took to finish the idea was the rodeo and a few hundred absolutely delicious cowboys attired in chaps, spurs, and hats. The Baer's became a family and my imagination dropped one vegetarian named Abby Clark into their world. When you meet Joe Baer and Abby Clark (the two other brothers appear in Baer Necessities and Baer Facts May 2013) they seem to be such opposites. She's a vegetarian with neon-streaked hair, tattoos, and a hot temper. Joe is a no-nonsense beef rancher, with a jaded heart, and a cowboy code of honor. Outwards appearances aren't all they seem, and inside, they are surprisingly alike. They both have family issues that have burdened their hearts, both want a place to call home in the deepest sense of the word, both value family, and want to be part of a family. Of course, they are different and that is where the fun comes in. The realities of ranch life are vastly different from Hollywood's version – but there's still magic in "riding off into the sunset" and that keeps these hearts together even after they discover the Baer Truth. "Please, call me Mike." The ranch foreman smiled, starting the engine. Making a hard u-turn, the truck slid across the pavement. Abby fastened her seatbelt and grabbed the handle above the window. The truck fishtailed across the ice, but Mike didn’t slow down. "I hope you don't plan on going shopping very often." He turned the wipers on. They screeched painfully across the glass. "It's a fair piece to the nearest store. We plan far in advance for shopping trips, so you'll want to keep a list for pantry purchases." They pulled off the main road onto a gravel road. He made several more turns onto smaller and smaller gravel roads, until they reached a rutted, one-lane dirt road. Suddenly the dirt road gave way to a smooth blacktop drive that wound around snow-covered banks, atop which a red snow fence ran as far as the eye could see. "I think I'm going to have to drop breadcrumbs to find my way in and out of here." Abby couldn't remember ever having been so far from civilization. "Tell me, do you ever get snowed in back here?" As far as she could see in every direction was nothing, absolutely nothing, except hills, snow fence, trees, snow, and huge mountains. "Occasionally we've been snowed in for a few days. We've got snowmobiles and we can get out for supplies with them." A lump formed in her throat that refused to be swallowed. "We've also got the Cat and the Deere with plows and shovels." Abby had no clue what he was talking about, but as long as those things could get her out of this desolate wilderness, she liked them. "Nobody's lived at the cottage for awhile. I had the boys go in, knock down the spider webs, and make sure no snakes or anything was living inside, but they don't always get everything. You aren't afraid of spiders and such, are you?" The lump on her head began to ache. Mike's expression was kind, but odds were she was about to face those things, afraid or not. "I can't say I care too much for them." "Well, snakes are hibernating this time of year. But they can move about when you start disturbing them. I'll have the boys leave you a hoe just to be safe." The truck slid across the blacktop road. Mike chuckled. "That was fun." Abby pushed a hand against the dashboard, her mouth becoming suddenly dry. "A hoe? What do I need a hoe for?" "For hacking the snakes' heads off, honey." Mike was matter-of-fact. "Hack its head off?" The ache in her head turned to throbbing and was joined by a rumbling nausea deep in her stomach. "Couldn't I just call you or one of the men to come and--" she shuddered-- "hack the thing?" "Sure, but we're usually out in the field or up at one of the cattle barns. It could be awhile before one of us could get it for you. By then it could disappear under the floor only to pop back out in the middle of the night and snuggle up with you in bed." "They're cold-blooded, you know, and they like to find a warm spot to sleep. So it would be best if you just hack them when you see them." Her head swam. Her vision turned gray and began sliding into black. She had gone from a bad dream to a horrific nightmare. Abby pinched her thigh, wincing at the pain. Awake. She was awake. The nightmare was real. Giveaway today: Ask a question or leave a comment for Linda and be entered to win an e-book copy of the first two Baer Brothers series! TELL US ABOUT YOURSELF, VERNA: I have always loved reading. At the age of six, I toted my Sleeping Beauty storybook everywhere and read it again and again. In grade school, I switched to Nancy Drew and Hardy Boys Mysteries. But in high school the romance genre became my favorite forevermore. In my late twenties, I began writing song lyrics, poems, and children's stories. I even sent a children's story to a publisher (it was rejected). However, because my own children were small and I also worked full time, I simply did not have the time (or discipline) to devote to writing. It wasn't until I had an empty nest that I decided to put words to a story that kept circling in my mind. After a week or two, I slacked off. Soon, however, I disciplined myself to pen something every day, even if it was just one sentence. After many months, I finished the story and began writing query letters. To my surprise, after several rejects, it was accepted. A year later I saw my first published work as an e-book. I was so excited! During that year, I wrote three novellas and also saw them published by two different publishers. Since the self-publishing market was hot, I decided to test the waters. Immediately, I became frustrated because of a lack of understanding of the formatting process. Countless hours were spent studying the subject. I also devoted my time to learning my craft (an ongoing process). One of the best things that happened was when I sat with an editor who red-marked almost every sentence in my manuscript. I learned more in a few minutes than I had in months. Now twelve books later, I can say with certainty that even though many times I thought a career as an author was hopeless, I'm so happy I didn't give up. 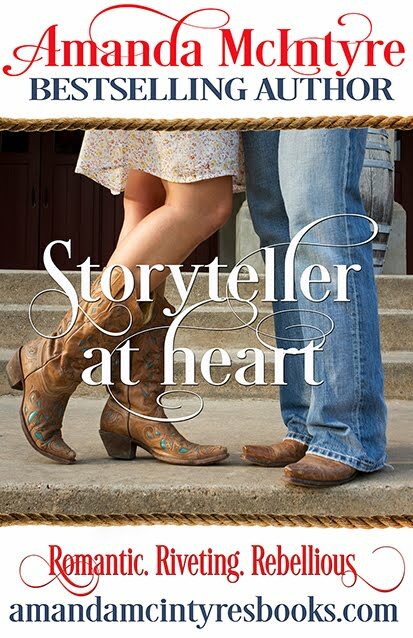 Before writing this story, my foray into the western genre was a contemporary series entitled Romance on the Ranch. While writing those stories, I fell in love with the western genre. 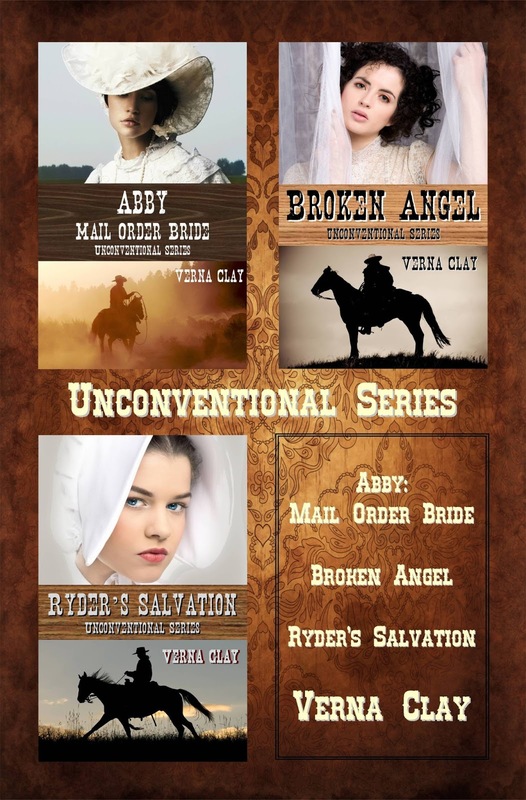 Because I find mail-order brides a fascinating subject, I challenged myself to write an historical novel. While writing Brant and Abby's romance, the next two stories started to gel. After working for months on this project and not knowing how it would be received, the wonderful reviews have brought indescribable joy. Abigail retied the ribbons of her straw hat and opened her parasol against the early afternoon sun. The second driver handed her trunk down to the first driver and it thudded on the ground. Next, he dropped her small valise and the grizzled man below caught it and set it on her trunk. "There ya go, ma'am." "Thank you," Abigail said politely. The driver was already climbing back atop the stagecoach. With a flick of his wrists and a shout, the horses pulled the coach across the street to a stable. Abigail glanced at the blacksmith's shop next to the stable and noticed a long-legged man leaning against the siding. He held his cowboy hat in one hand and lazily watched the stagecoach occupants. Even from a distance, she could see he was lean and broad shouldered, with black hair that brushed the collar of his denim shirt. Too young, too handsome. She turned her attention to another man exiting the general store next door to the hotel. Maybe that's him. He wore a suit a decade out of style, but looked distinguished in a countrified way. He was very short, but carried himself proudly and had a pleasant, boyish countenance for a man probably in his forties. Please God, let that be him and not the one with the missing teeth or the one with the gun. Abigail turned and stumbled backwards. The lean cowboy from across the street—with eyes that she could now see were the same color as the cloudless sky above them—reached out and caught her by the shoulders before she fell on her backside. 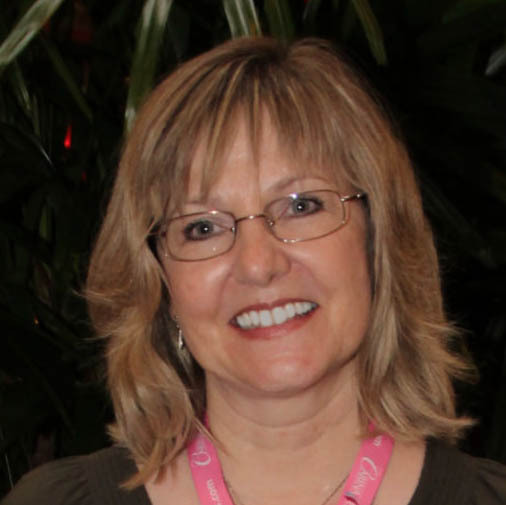 Leave a question or comment for Verna! BE SURE Y'AL LEAVE A COMMENT TO WIN TODAY!! Then join us tomorrow on the front porch for a chat with Beth Williamson aka Emma Lang and Kaki Warner! Until then, be sure to ask your questions or leave a comment to win ! 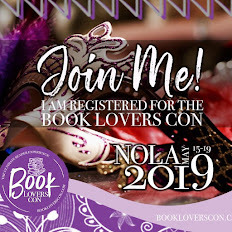 Authors will be checking in!! Looks like two great books. The Baer Truth, looks like it could be funny as well. Linda - This sounds like a really fun read. I wonder if the cowboy is just trying to scare her or if she really needs to worry about snakes. Verna - This sounds like a really good book. It sounds like Brant surprised her with his age. I can't wait to see what else he surprises her with. Linda...Love the fun take on the "Baer" titles. Does this mean we will see some bears? Verna - Tall, dark, handsome with blue eyes! Mmmm.....Is this your favorite type of cowboy? Linda - Congratulations on your book, Baer Truth! Enjoyed the excerpt, especially the humor. Verna - Congratulations on your Unconventional Series! Enjoy historical fiction. Thanks for the excerpt. These are both delightful excerpts, ladies! And definite additions to my TBR pile! Congratulations to both of you!! What wonderful excerpts, ladies! Both had me chuckling and wondering what happens next :) I'm a huge fan of small town cowboys, ranchers, lawmen, you name it...both contemporary and historical so these are both up my alley. Thanks for the snippets! Linda -- I love the fact that you threw a vegetarian into a cattle ranch. This book just sounds like it will have me rolling in the floor laughing. I cannot wait to read this whole series. Verna -- I love to read about mail order brides. Especially when they involve cowboys. I can't wait to see what happens to Abby and the mysterious Brant. Linda, enjoyed the excerpt for the Baer Truth, will be interesting to see what happens when she encounters a snake. Verna, enjoyed your excerpt, can't wait to find out what happens with Brant and Abigal. Hi everyone! Thank ya'll so much for dropping by, and thank you Amanda for hosting me!! The Baers have been so much fun to write. After marrying a country boy myself, well, there's a little bit of me in Abby. Okay, probably a lot more than I'm willing to admit to. I have hacked a snake on my back porch, but I haven't sunk a tractor! Wow, the excerpts are terrific!! I haven't read the "cowboy" genre in a while (been reading a lot of paranormal)but after reading these excerpts I didn't realize what I was missing.......or the hunky cowboys!! Can't wait to pick up books by you two authors!!! Oh my, my. Country boys, yes please. I loved your column today and to see where you get your inspiration. Thank you for some great reading and looking forward to many more. Amanda, thank you for hosting me on your website! And thanks to everyone for their comments! I love the country and I love cowboys. Put the two together and I'm a goner. I'm excited about what's in store the rest of this "Country Boys" week. Wow looks like two great books here and I do love me a western. If it has a cowboy I am there. What genre of books do you ladies read most of the time? Linda & Verna same question. What got you started writing western type romances? Linda, You KNOW I love you and the Baer Brothers. It was great reading about how those scrumptious Baer boys came about. Thanks for sharing them with us. Sending Hugs to Margie! You rock! Hi Babs, Sheila, and Quilt Lady! I read whenever I'm not writing and I will pretty much give any book a try. I love a good thriller, and I love romance. Paranormals are fun, urban fantasy and gee, I like them all. As the saying goes, "so many books, so little time." My love of the west comes from my mama. She used to read me Zane Grey, Louis Lamour, Max Brand and then we'd watched reruns of Bonanza and Gunsmoke. The cowboy grew in my heart. Thanks all for dropping by! Happy Trails. Linda, do you have a favorite Baer brother? Verna,wuld you have considered being a mail order bride? What great excerpts! I'm wondering if Abby gets back at Mike for the 'hacking off the snake head'. I sure hope so, Linda! I love mail order bride stories, Verna, and I could just picture Abigail arriving in town and standing there with her trunks, just looking around. I have to agree with Linda, so many books and so little time to read. I generally stay with the romance genre because I can't help myself. The sub-genres in romance that I read the most are contemporary, contemporary western, historical western, fantasy/sci-fi, and chick-lit. I think I began my love for cowboys by watching Gunsmoke, The Rifleman, and Bonanza. Those programs were traditions with my parents. I also lived in Texas for awhile and got to watch cowboys close up. My my! I think a cowboy riding a horse in a pasture (dressed in full cowboy attire) and chasing cows is wonderfully entertaining. When I first started writing, I stuck with fantasy/romance, but after I got my Kindle and downloaded some westerns, I loved them! That's when I decided to try my hand in that genre. It was so much fun, I got hooked! The question from MaryC is whether I would have considered being a mail order bride. I think only if I was able to back out of the arraignment if I didn't like my cowboy. You know, some of the mail order brides married by proxy before meeting their husband. Now that would be truly frightening. I hope I answered all the questions posed. This is fun. OH MY!!! This start off to Ladies Love Country Boys is so great!!!! Linda, you know I am a HUGE fan as well as friend of yours and I LOVE the BAERS!!!!! JOE is MINE! Want them in PRINT!!!! Verna: I am so happy to have found yours books. You are so great!!! I was obsessed with your work and read one right after the other in a sleepless weekend!!! Thank you for the wonderful books. Great giveaway. Hey everyone! Wow, what great comments! This has been so much fun and I can't wait to meet the rest of the gang this week. Marcy C ask if I have a favorite Baer brother - yes, all of them for different reasons. LOL Segwayed around that didn't I? Bookworm - Baer Truth was just released in print and is available at Amazon! The snake hacking wasn't the worst of it! But Mike takes good care of her out on the ranch - not that way!!! LOL That's Joe Baer's job. Thank you Kim! Book Obsessed Chicks Rock - you guys were my first fans!! WOW! Both these books sound amazing! Thank you both for the giveaways. Bookworm: The trilogy of the Unconventional Series does come in paperback! Kim (Book Obsessed Chicks): You have a great website! Thanks for all your hard work in promoting authors and books we chicks adore. I haven't read Verna yet, but she's on my list now. I have read about the Baer boys and they are great enjoyable fun reads. Granite Rose is a great book also, I recommend all of Linda's books, she rocks. I'm consistently looking for cowboys stories to add to my TBR. Haven't read any of Verna Clay's books, but will be rectifying that soon. Baer boys sounds like an awesome read. Thanks. Delightful excerpts. They really want me to read the books. These are both new-to-me authors. their books, they sound great! The books sound like a lot of fun! I really enjoyed the excerpt and look forward to reading more of your work! My TBR list keeps getting longer and longer. Thanks!! Yay, Maxie!! Glad you made it!!! Thank you Walk! You are awesome and I so much appreciate your support. I'm so excited that many of you were intrigued by the Baers - they are a fun lot. It was great to share today with Verna! Loved the excerpt! Mail Order bride, that would be scary! 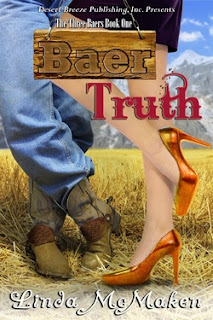 And Baer Truth is now available in print at Amazon. Hi Maxie, nice to meet you, too. So glad you like mail order bride stories. I can't resist them myself. Just wanted to let you know the trilogy does come in a paperback. Hello Sue G., yep, tall, dark, lanky, with blue, green, or brown eyes, suits me just fine. Sun burnished skin is nice too. I thoroughly enjoyed both excerpts thank you. About the hoe, my Father always kept one handy for just such a purpose. Hi Ladies! Two new to me authors!!! I love finding them and their books. I must say they all sound really great. Thanks for the chance.